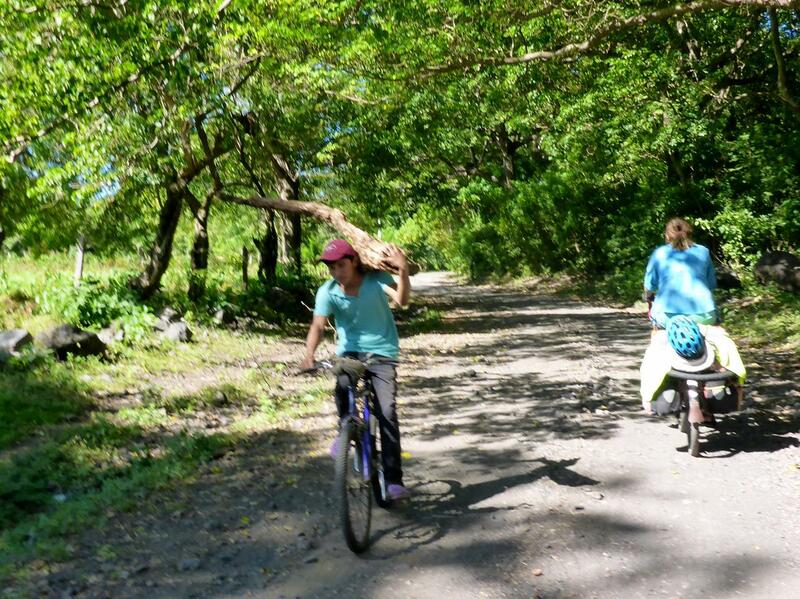 We left Altagracia and cycled around the non-paved north side of Ometepe Island. 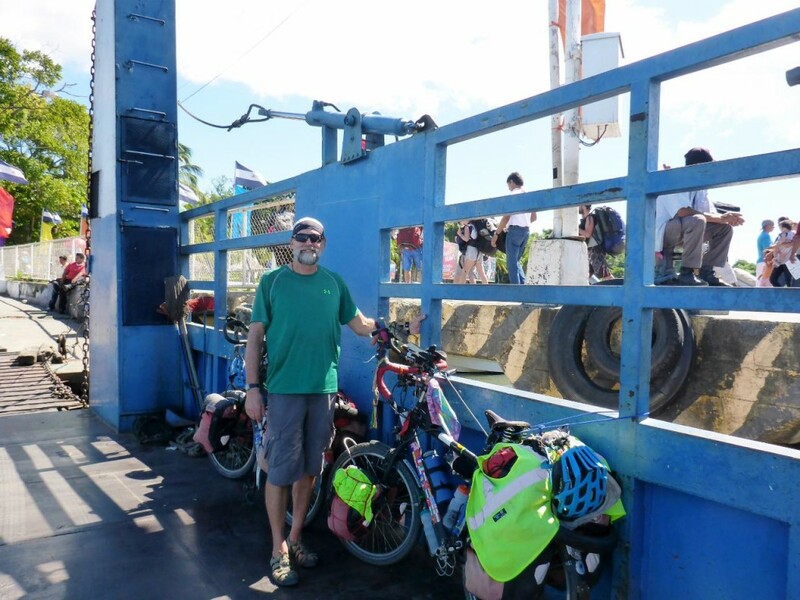 We had a choice of returning to the ferry at Moyogalpa on the same road that we cycled out of or taking the non-paved road back to Moyogalpa. The dirt road was fun and very interesting and we don’t like to repeat roads. 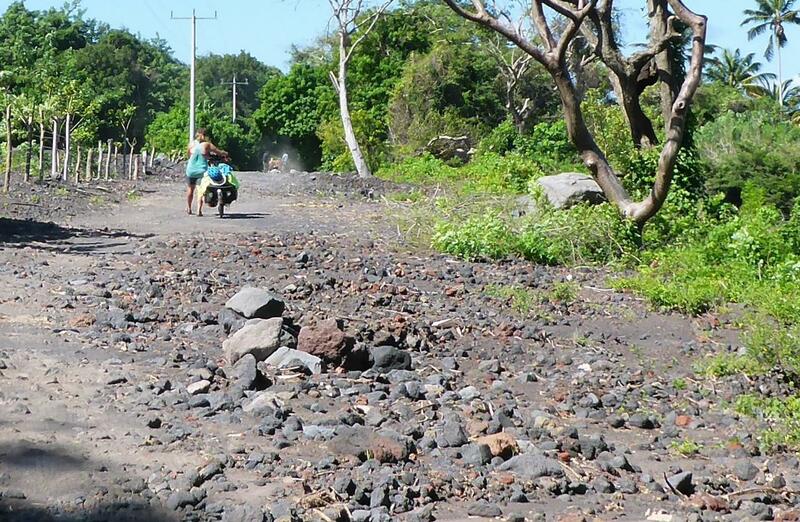 The sometimes very rough road took us three hours as we crossed a few recent lava flows. By recent I mean probably over 50 years ago as the lava rock was spread out and there was little vegetation. 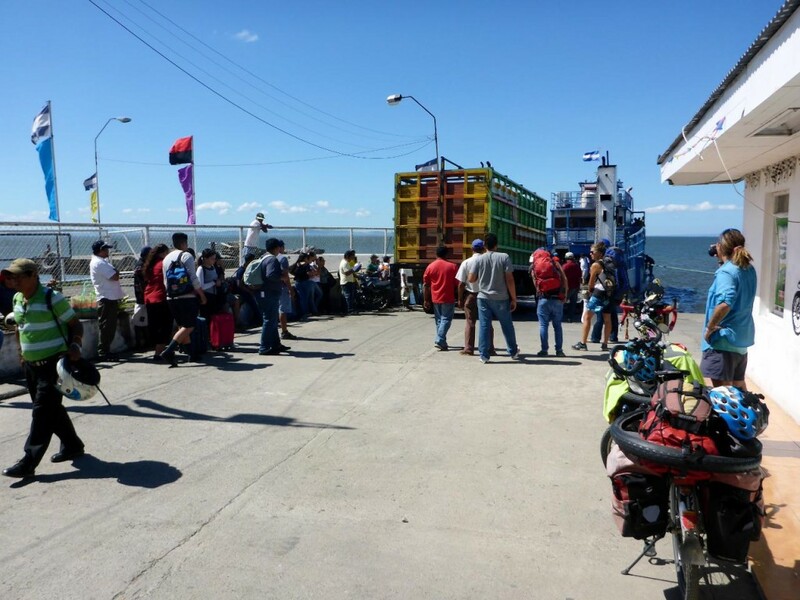 We arrived at the ferry, purchased tickets, and had a good time talking to a cycling tour group also headed back to the mainland. 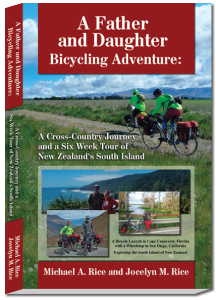 They are on a three week tour of Nicaragua, Costa Rica, and Panama. 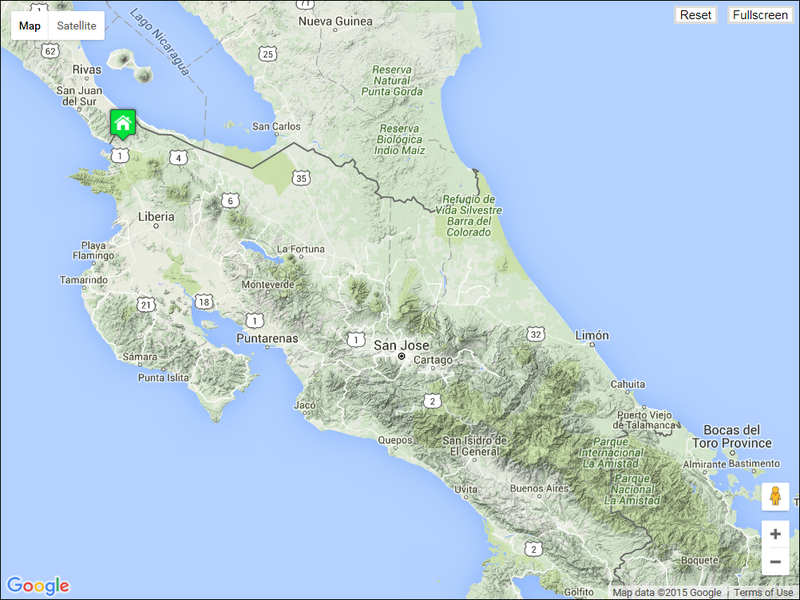 Once back at San Jorge we decided to get a room near the beach and plan an early start to enter Costa Rica tomorrow. 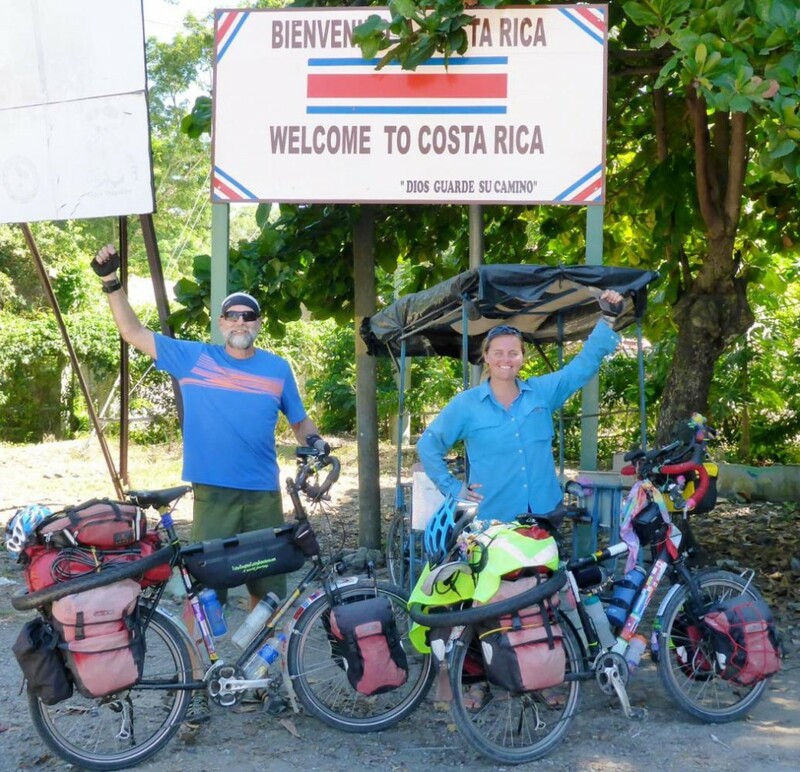 December 2, 2015 Costa Rica our 31st country achieved! 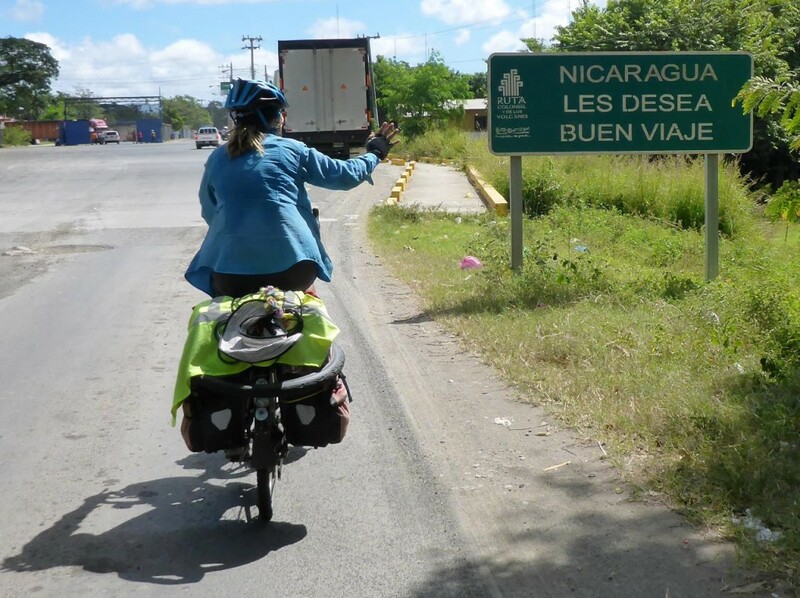 We had a good day of riding then crossed the somewhat confusing border out of Nicaragua and into Costa Rica. The border has been more closed than open lately because of thousands of Cuban refugees are trying to work their way into Central America, Mexico, and the U.S. We lucked out and it was open. 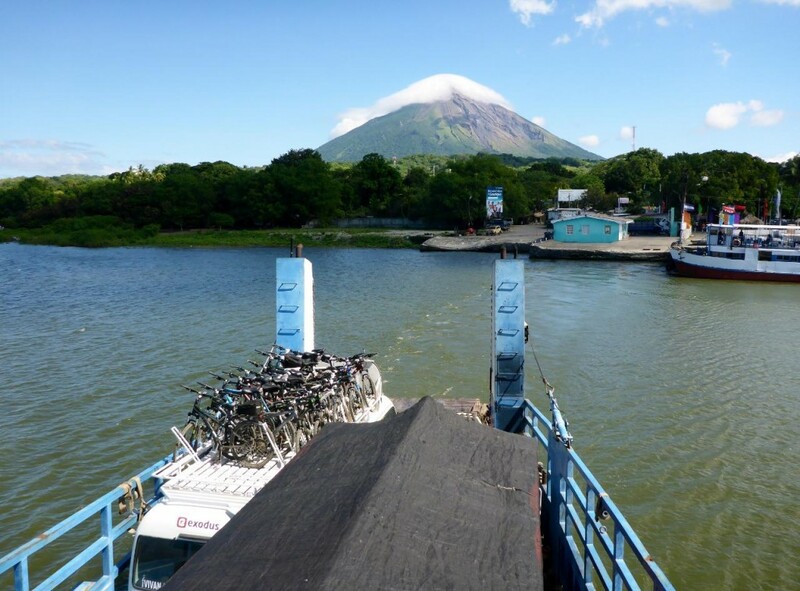 We also met all the touring cyclists that we crossed on the ferry with to the mainland from Ometepe. It was fun talking with them again. Behind me in immigration was a Moroccan lady that pointed to the Morocco sticker on my bike and said that she was from Morocco. 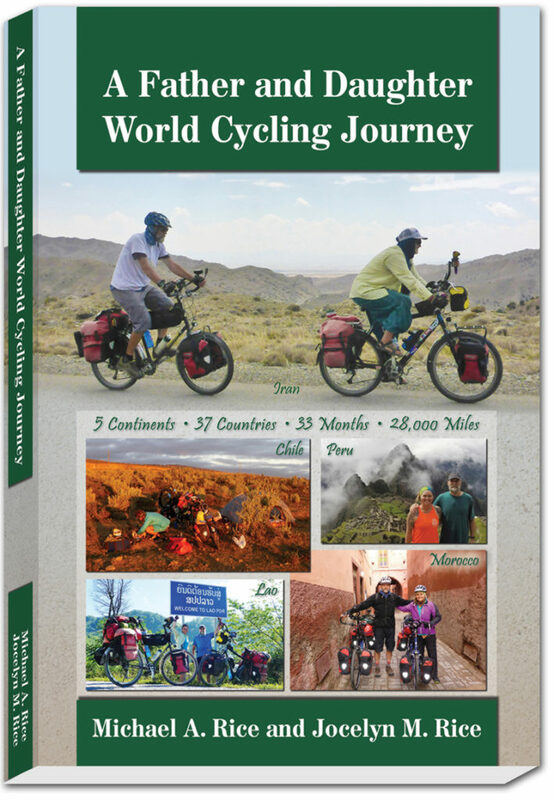 We cycled through Morocco last February. So we chatted a lot with her and the other cyclists. 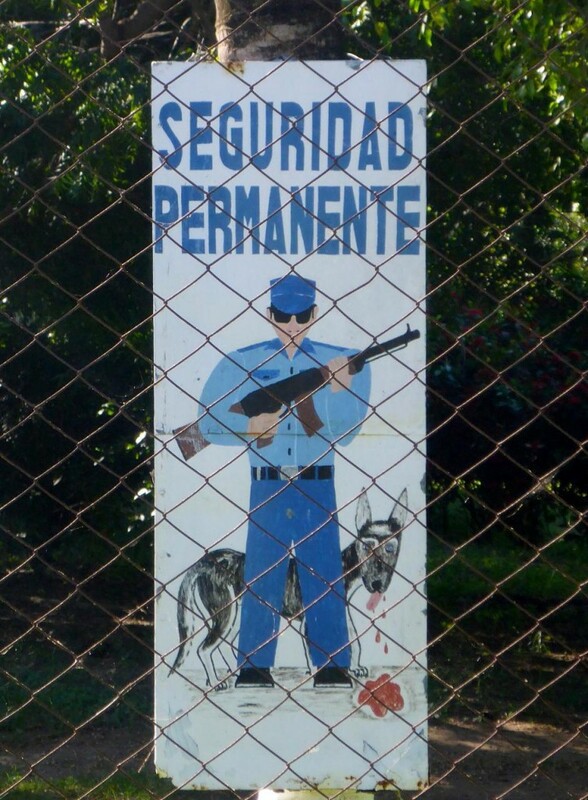 The next town was La Cruz and we stopped at three hotels that were full of Cuban refugees. The fourth was a very cool hostel that overlooks the Pacific Ocean and they had one room left. 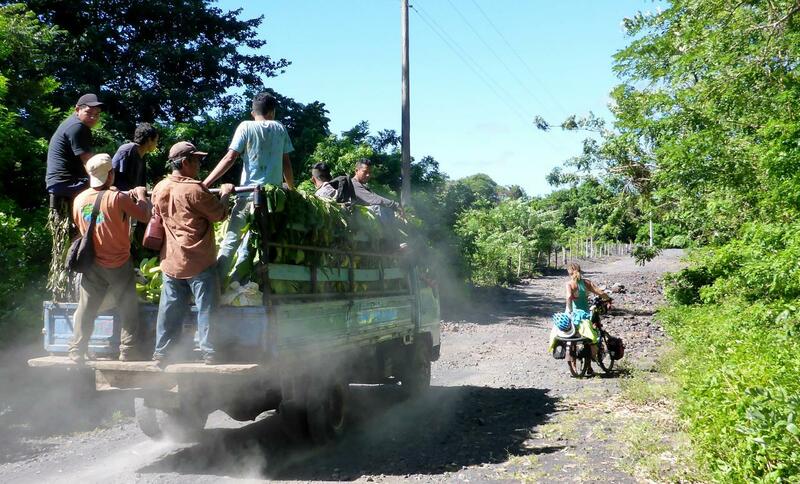 At $50 for the night Costa Rica is a lot more expensive than Mexico and Central America. I have updated the World Tour Mileage Summary page. 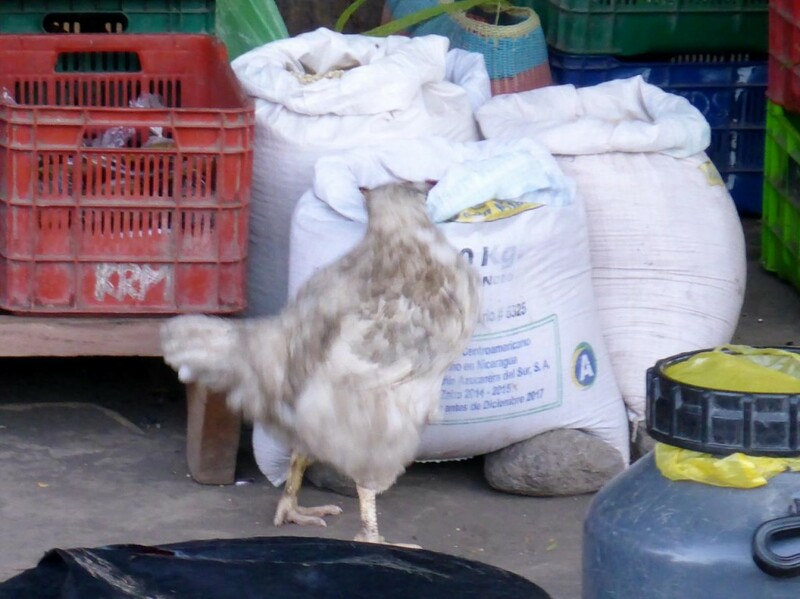 This fat chicken was spending his time eating from the seed sack. Every few seconds he would pull his head out and see if anyone was watching then eat again. So funny. This guy was proudly carrying a fine piece of cooking firewood for his parents. 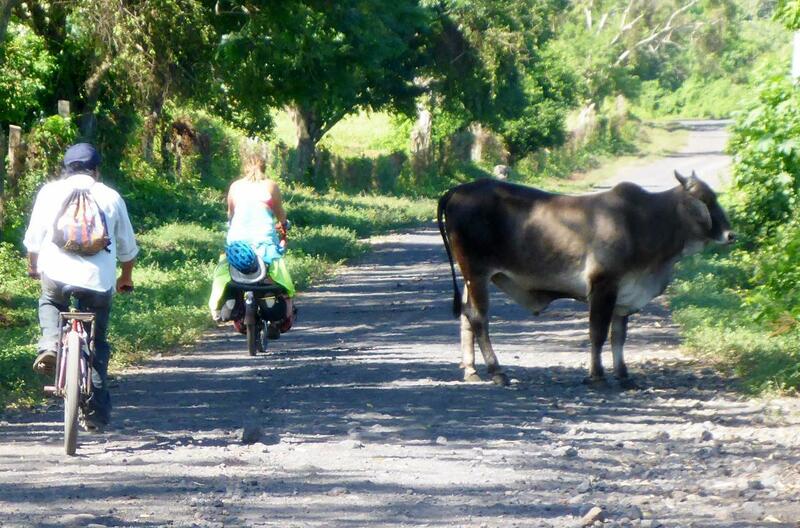 Monday traffic on the north unpaved road around Ometepe Island. This guy was trying to block the road. A recent lava flow that we crossed. Two mornings ago we inflated our tires. This morning we let air out for the rocky road. 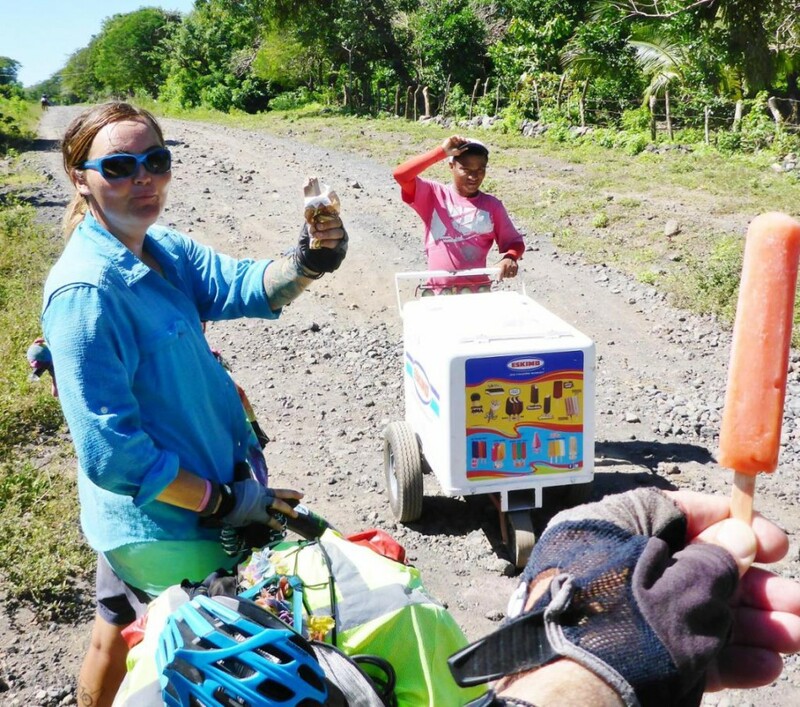 We spent a few hours on this road an along comes the ice cream guy who has been pushing his ice cream cart since Moyogalpa several miles away. Unbelievable! We bought two ice creams and gave him a good tip! A good use of a basketball court – drying corn kernels. Our ferry back to San Jorge. Tied our bikes to the side. 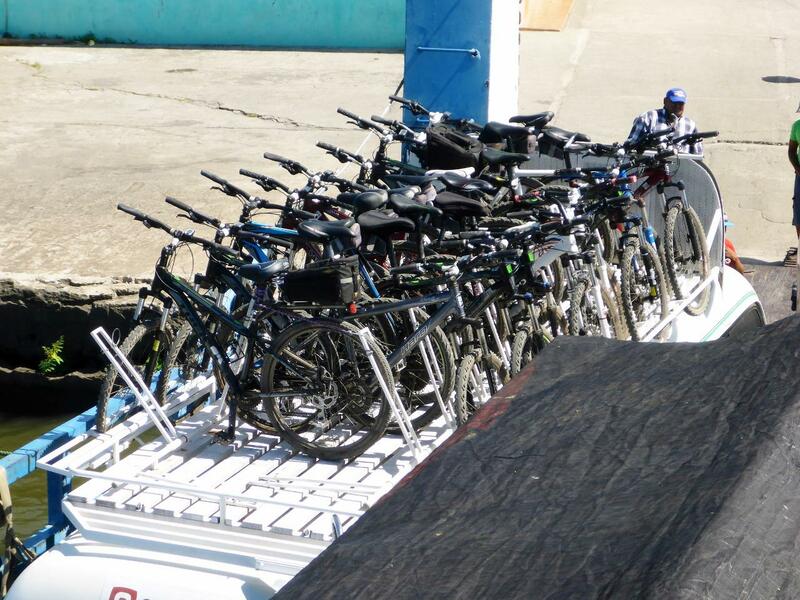 Onboard were many touring cyclists spending three weeks exploring Nicaragua, Costa Rica, and Panama. They were a fun group to chat with. We saw them again in the Costa Rica Immigration line. What a great hike we had up Volcan Concepcion. A last view of Ometepe from our lakeside dinner spot. Security guards everywhere. Nice dog. 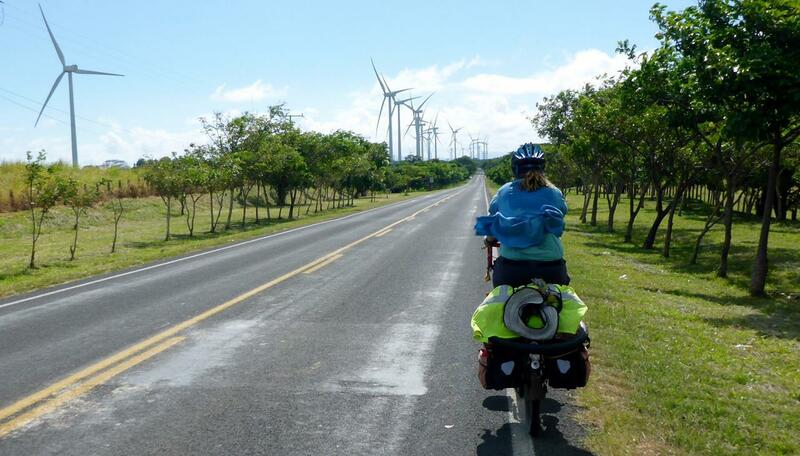 A wind turbine project in Nicaragua. 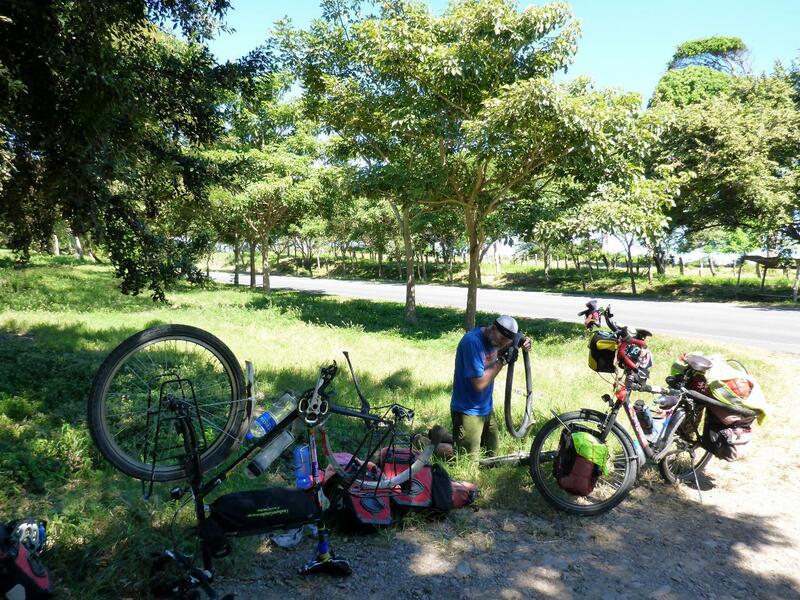 A second puncture in Nicaragua! There must be a disturbance in the force. 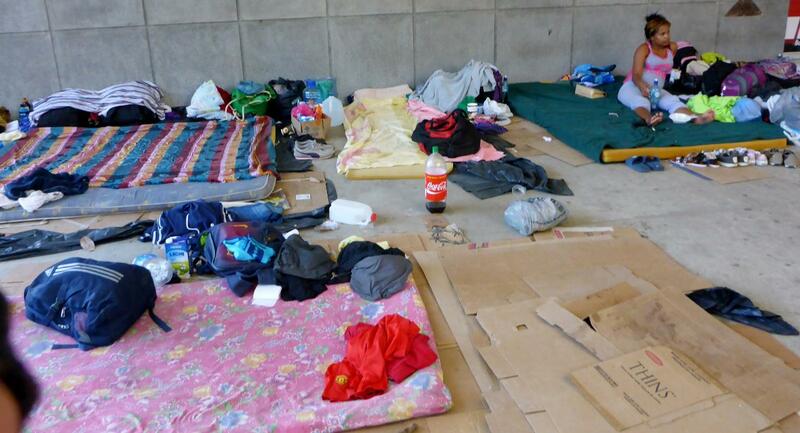 Cuban refugees campig out at the border. 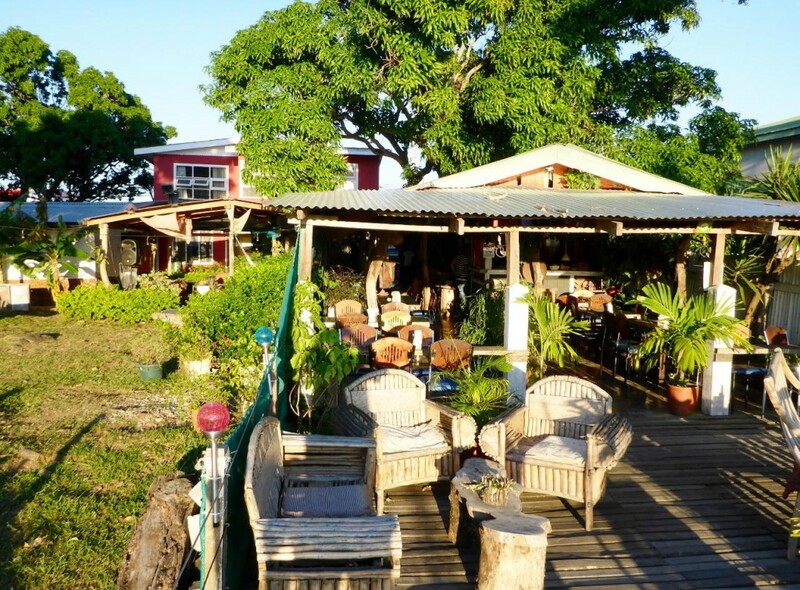 We found this great hostel in La Cruz, Costa Rica. What a nice deck overlooking the Pacific. Notice the surfboard nose at the right end. We feel like a million bucks…not. MIL in Spanish is 1,000. This 1 MIL bill is worth $2.00. 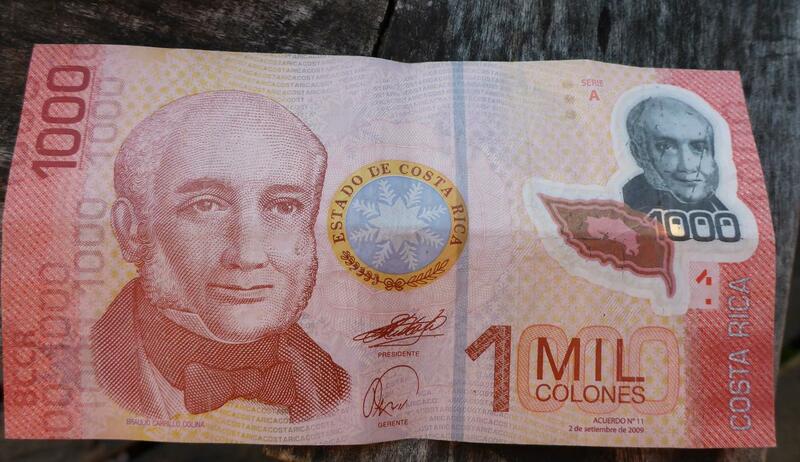 $1 USD is 500 Colones. A beautiful sunset over Salinas Bay, Costa Rica. I was looking for brontosauruses to traverse through this valley as it looks like the movie set of Jurassic World. 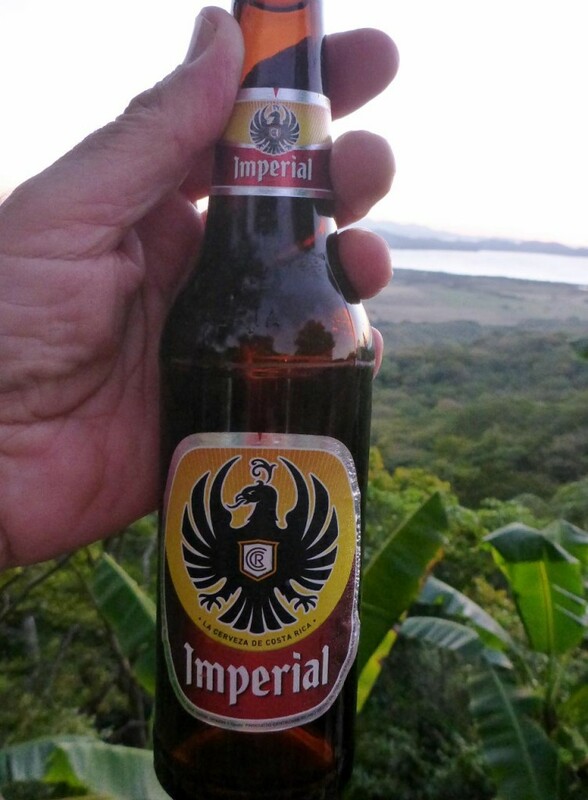 A very fine Costa Rican beer.